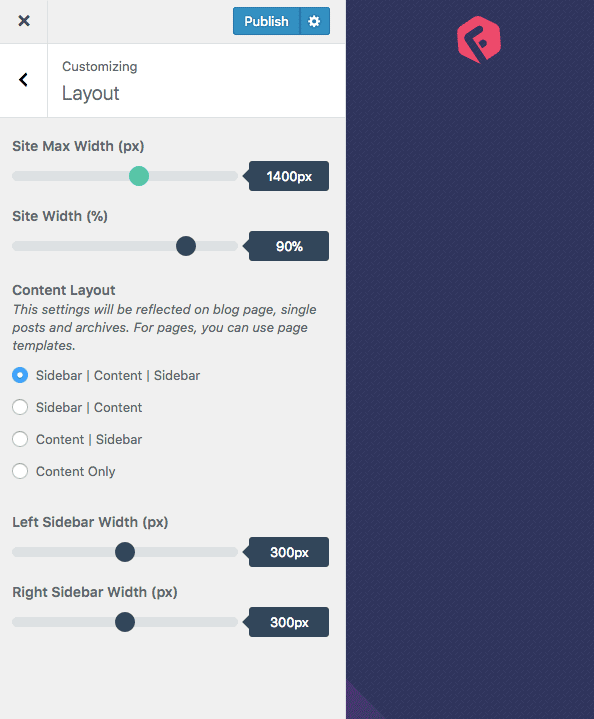 You can set your site layout, width and maximum width of the content, Sidebar width etc. from Layout Settings. Go to Customize > Layout and adjust the settings for your site.